A good service is inportant for us ! We offer a 14 day trial period, so you can play/test your violin or bow. Goods should be returned within 14 days, which will give you the time to evaluate your instrument or bow. A complete refund (of the purchase price) will be made after reception of the returned instrument or bow in the same condition as when we originally sold it to you. If an instrument or bow is returned from a country outside the European Union, the return shipping costs and custom clearance costs should be paid by the byer. You can expect our refund within two weeks of receipt. 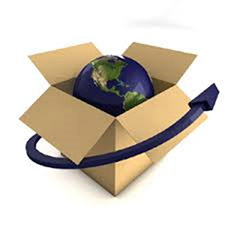 An extra shipping insurance is possible, pls contact us for more information, there are many options possible. It took many years to earn a good reputation in this business, which we are proud of. Our goal is to keep my customers happy! We only sell via this website and do not offer shop facilities. Some are expertly restored in Europe ready for fit up, and some are sold in need of more attention, thier condition is carefully described in the description. If you need more information concerning your shipping price, pls contact us ! Alle geschillen vallen onder de exclusieve bevoegdheid van de rechtbanken bevoegd voor onze maatschappelijke zetel. Informatie over alternatieve geschillenbeslechting is the vinden via deze link : http://ec.europa.eu/odr/ doch wij behouden ons het recht voor geschillen uitsluitend aan de rechtbanken voor te leggen.